create a screen named "­foo­"
attach to an existing screen named "­foo­"
This cheatsheet should mention that [^A] is actually just the escape key, which by default is ^A but can be something else. For example, Ubuntu's screen wrapper byobu also uses F12 depending on your keybindings. I see holding shift makes a difference and does split screens. That's great information, perhaps it would be best to add the lowercase so nobody is confused? @Ian : In fact ^A (in screen dialect) is not [Esc] but it's what emacs calls [C-a] or what windows calls [Ctrl+a].  which is obtained by pressing [Ctrl] then pressing [A] then releasing [A] then releasing [Ctrl]. It's true that it should be documented (even it's a classical unix representation of shotcuts, you can find it for example in pine or mutt interface). @RicoPags : What should also be documented : While [^A] mean [Ctrl+a] in screen help, [^A] [A] doesn't mean [Ctrl+a] [a] but [Ctrl+a] [Shift+a]. It's screen own convention (the one you'll see in [^A] [?]) but it's very misleading. Would you mind adding the Enter/Quit commands from https://library.linode.com/linux-tools/utilities/screen#sph_managing-screen-attachment ? There should be scroll buffer shortcut. Would you please add ^A + Esc combination and how to use this mode?